Art Kit Includes: 64 Crayola Crayons, 20 Short Colored Pencils, 40 Washable Markers, and 15 large sheets of paper. 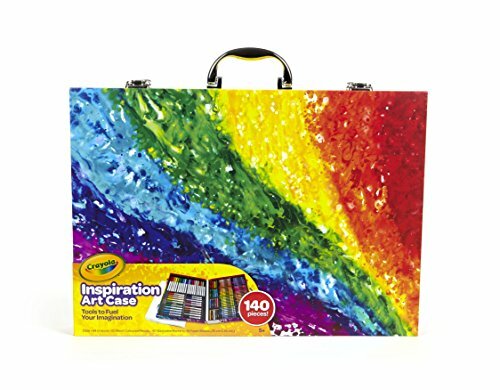 Crayola Art Supply Case with organized storage. 140 Piece Drawing and Coloring Set for artist inspiration on the go!